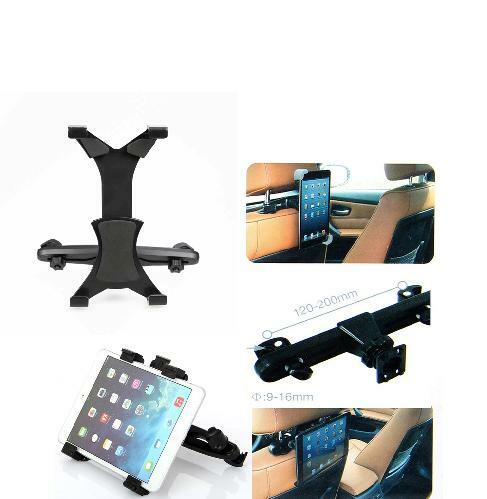 Mount your iPad 2/iPad 3/iPad 4//ipad mini, mini2 /Galaxy Note 10.1 to the back of your car's headrest. No special tools for installation, Easily attaches to headrest posts, Mount the headrest in seconds. Securely Mounts to Headrest, Tablets holds tightly against the headrest, protecting it from excessive shaking and vibration. This Car Back Seat Holder also can be used as an instant backseat entertainment for the perfect companion for the family during long car journeys. 360° of fluid rotation allows you to enable portrait or landscape viewing.